If you’re a coffee lover you’ll love this– 40 Best Home Coffee Station Ideas To Inspire you! By selecting a special space to place all your coffee making essentials you will be able to enjoy your favorite cup quickly and impress your guest as well! You can use your kitchen counter, side tables, carts, a cabinet, or have a coffee bar custom built to suit your style. 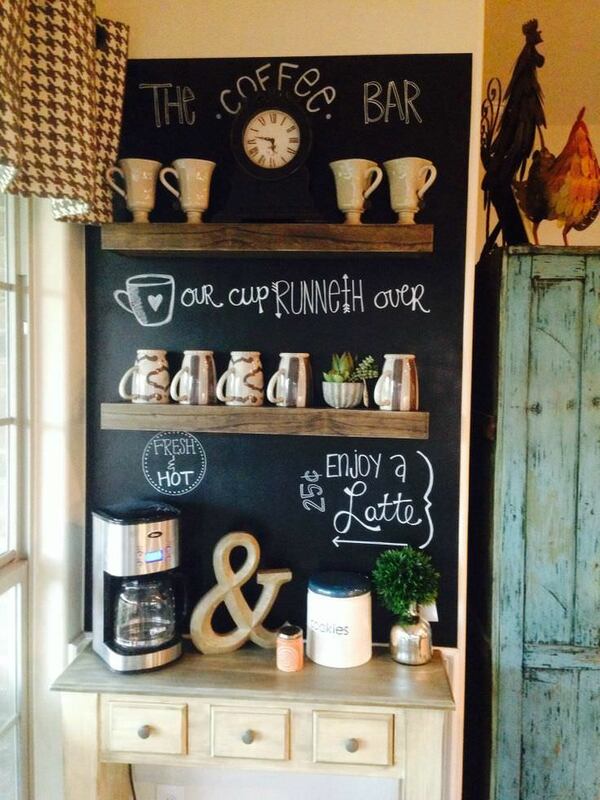 Here are a few tips to help you organize and stylize your very own coffee station. You can style that coffee station right on your own kitchen counter! If your counter is small, use a base, like a tray, to put all your coffee essentials in a group to decrease clutter. You can also add a shelf above your coffee machine to place cups, coffee, and other essentials. If your counter is large, simply arrange your station in a way that expresses your individuality by adding a coffee pot, unique cups, and whatever you like. Visit DecoHolic to read the full post.